All Hallow’s Eve is just around the corner and once again we welcome local author Michael Montoure to Wayward Coffeehouse for a reading of chilling tales to usher in Samhain. 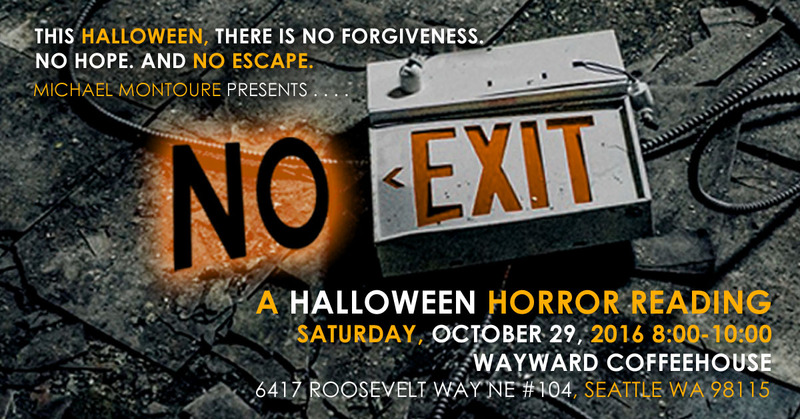 Join us on Sat, Oct 29, 8-10 pm, and enjoy dark thrillers read by the author. FREE! NOTE: This reading is not suitable for young children. Our events are typically family-friendly, but this annual horror reading is an exception.